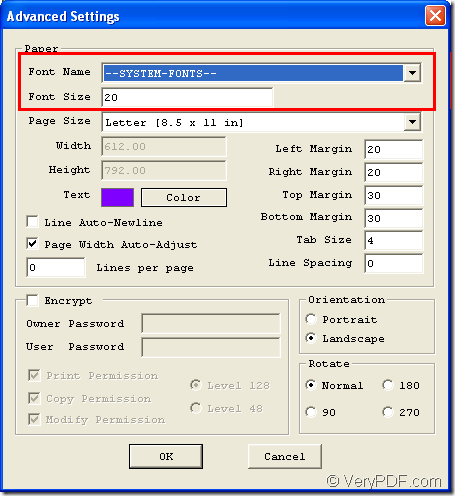 Do you want to convert your document of txt to pdf and set pdf font in the conversion process? Do you want to use a free program to help you do this kind of work? If your answers are Yes, please go on reading the following contents in which you will get acquaintance to the personal free application—VeryPDF Text to PDF Converter. Please see the snapshot in Figure 1 which is the original text document. 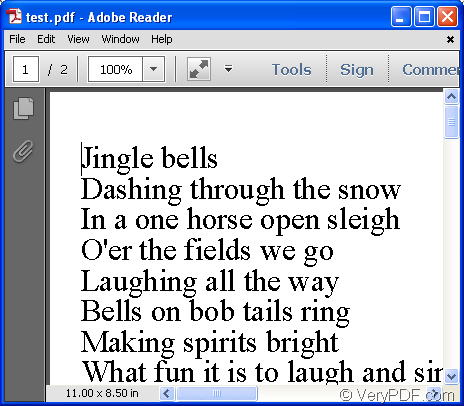 Via operating Text to PDF Converter, you can easily convert it to pdf file and specify pdf font. But at first, you need to download the program to your computer and then install it. 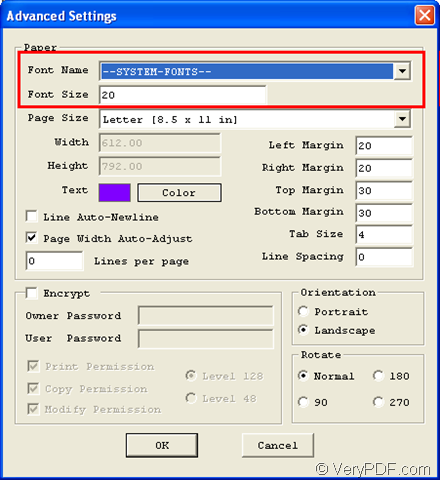 At the beginning of the conversion from txt to pdf, please open the application by double clicking its icon and you will see the main interface of Text to PDF Converter on the computer screen like the one shown in Figure 2. Click Menu—Advanced Settings to open Advanced Settings window in which you can choose font style in Font Name dropdown list and specify the font size in Font Size edit box of Paper group box. Please see it in Figure 3. Then please click OK button to save changes. 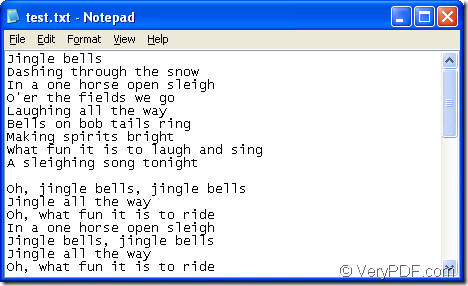 Please input the text file by clicking the button Open on user interface and choose the file from opened file picker window. Then please click Open button. In the popup saving window, please choose output location and input the name for target file. Then click Save button to convert txt to pdf. Then please see the created pdf file in Figure 4. If you want to use Text to PDF Converter for your commercial purpose, you can visit the homepage of the program to purchase the license. If you have any other questions about this application, please contact our support team. Text to PDF batch conversion using wildcards? 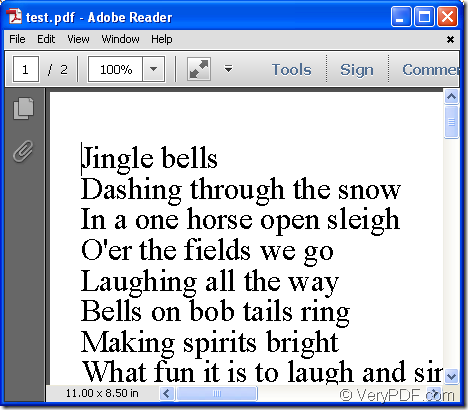 This entry was posted in Text to PDF Converter and tagged free program, pdf font, text to PDF, txt to pdf. Bookmark the permalink.